Sure, you can turn up at the foot of Mt Kilimanjaro with nothing but a song in your heart and a pocket full of dreams. But you’re going to be in for a bit of a shock. Without at least some pre-trip training, or a good basic level of fitness, trekking is hard work. Let’s be real – it’s hard work anyway. The toll for a great trek is paid in sweat. Sore calves and aching quads are badges of honour, with blisters and lost toenails marks of pride. But in return, you get some of the most untouched, pristine and jaw-dropping scenery on the planet. And you know what? The more you train for your epic hike, the easier it’ll be. 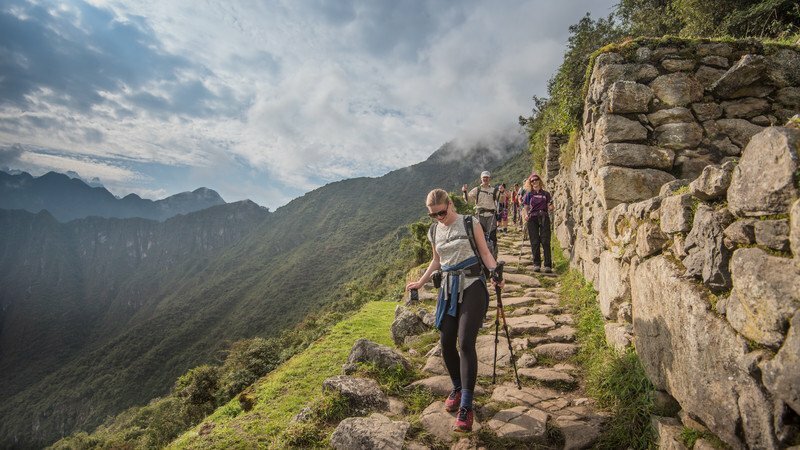 When you’re navigating Kili’s gravel trails or lumbering down Dead Woman’s Pass on the Inca Trail, walking poles will become your two new best friends. They take the pressure off your knees on the downs, and give you extra support on the ups. Incorporate poles into your training sessions so you get used to walking with them. 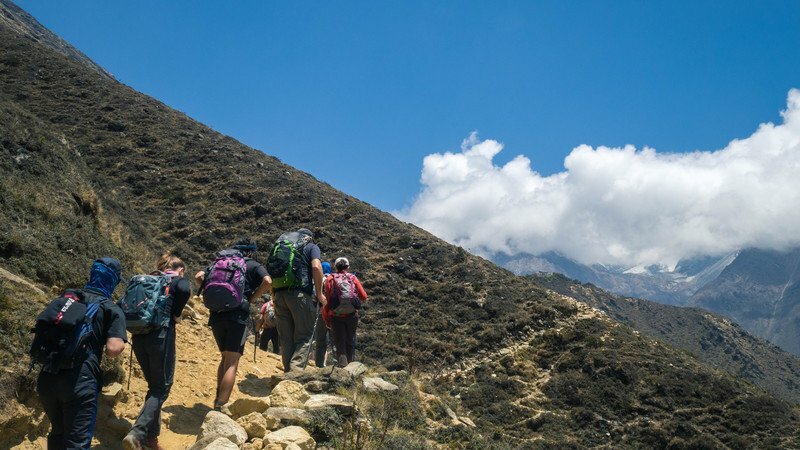 On almost all of our trekking trips, you won’t be carrying your main pack, but you will need to carry a small daypack, packed with essentials like your camera, snacks, sunscreen, water and wet-weather gear. So with all your days/weeks/months of training, make sure you’re challenging yourself with a weighted bag. 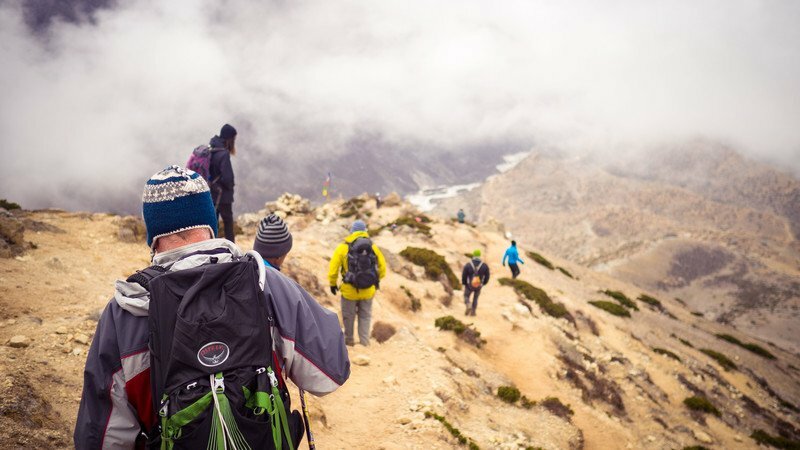 If you really want to push it, pack your bag with a few extras, so it’s a little heavier than what you’re planning to hike with on the trip – it’ll make the eventual trek feel like a walk in the park (chortle).